The struggling Vita has had a jump in sales following the PS4's launch thanks to Sony's new Vita campaign. Sony's PS Vita handheld has had tough times. It launched early 2012 (late 2011 in Japan) but has little wide success. A competitor to Nintendo's 3DS, Nintendo has been pushing its handheld with a steady stream of well-received titles in 2013 while Sony has been pushing the PS4 much more than the Vita. Thanks to a new Sony campaign for both the PS4 and Vita, the handheld jumped 68 percent in sales after the PS4's launch and rose 65 percent the week after, MCV reports. Leading up to the PS4, Sony promoted the Remote Play feature of the PS4 and Vita in which owners of both devices could stop playing a game on the PS4 and pick up on the Vita where they left off on the PS4. Moving away from promoting the several features of the Vita - from games, cameras, touch screen, and motion sensors - Sony's new campaign has played up the Vita's role as a companion to the PS4. "PS Vita sales wise we are continuing to see strong week-on-week growth since our latest campaign kicked in," senior product manager Ben Law said. "The new TV advert went live this week and we've already seen amazing feedback from PS4 owners on the Remote Play feature, and the success of Tearaway highlights what a great proposition PS Vita is, either as a stand-alone device or as the perfect companion to PS4." 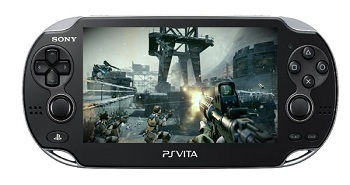 Beyond the companion aspect of the handheld, Sony wants to encourage mobile game developers to expand to Vita. Andrew House, president and group CEO of Sony, is convinced the PS4 is a "great opportunity" for Vita. Games are also important to any gaming system's success. The Vita has struggled to supply a steady stream of well-received games since its launch almost two years ago, but recent success with Tearaway, which uses many Vita features and invites players into a colorful, paper world. If the Vita is to gain more adopters, now would be the time. Sony will have to keep bringing innovative and engaging content to the Vita to make it more than just a second screen to the PS4.